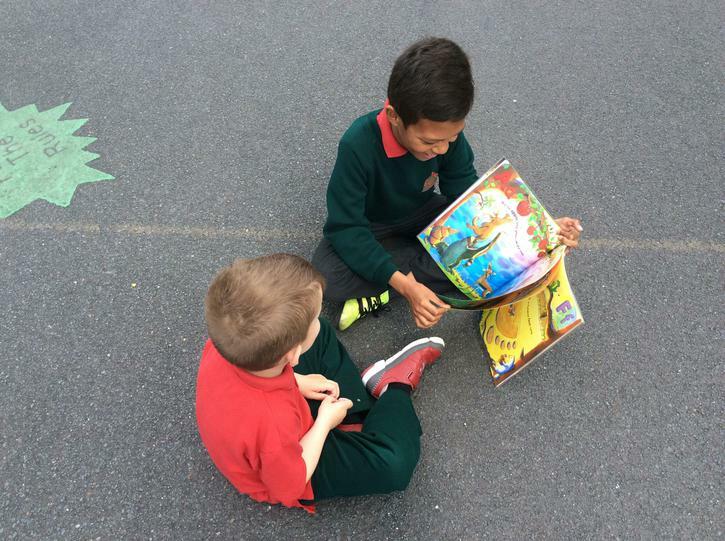 Primary 1 have been working very hard with their literacy all year and are ready to show off their skills. 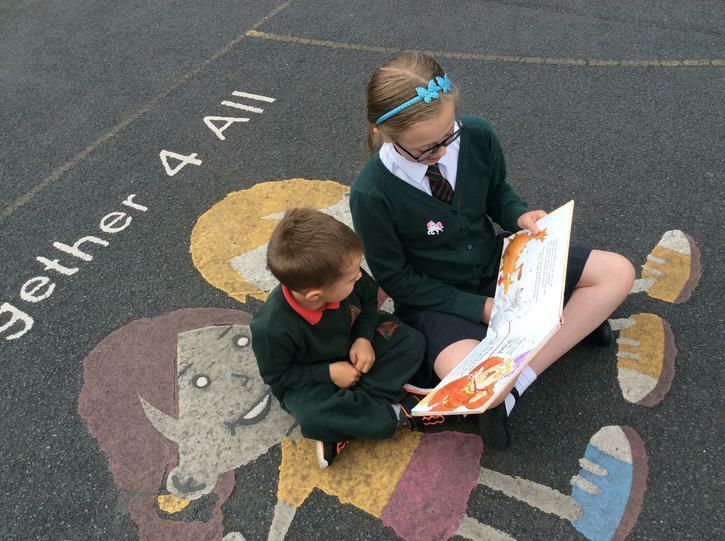 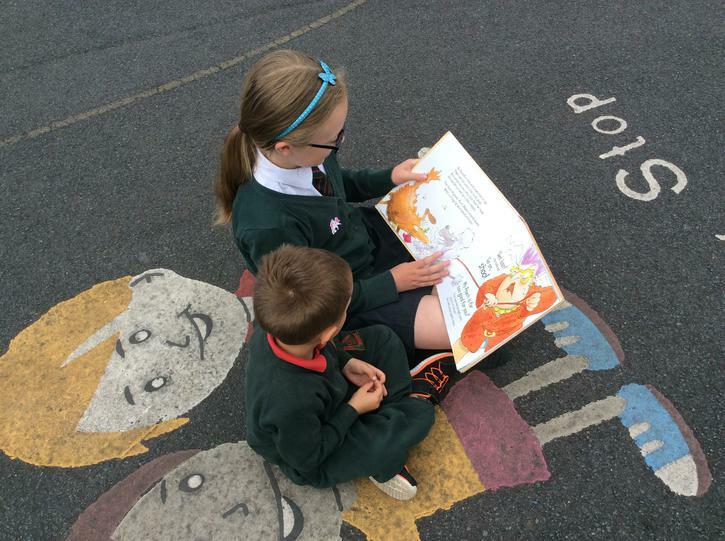 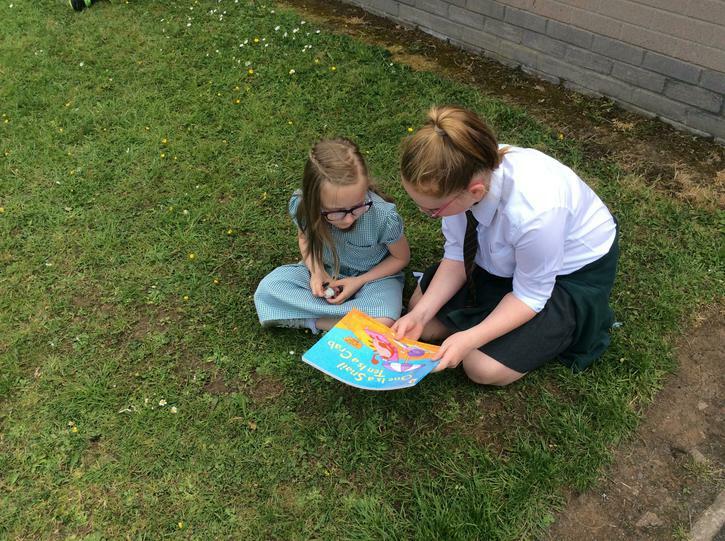 Every Friday afternoon the P1 children visit the library, choose a storybook and then meet up with their P7 buddy for reading. 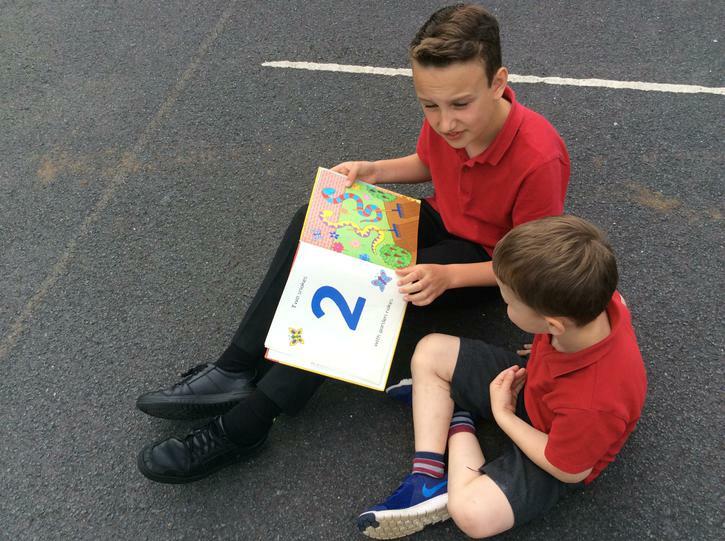 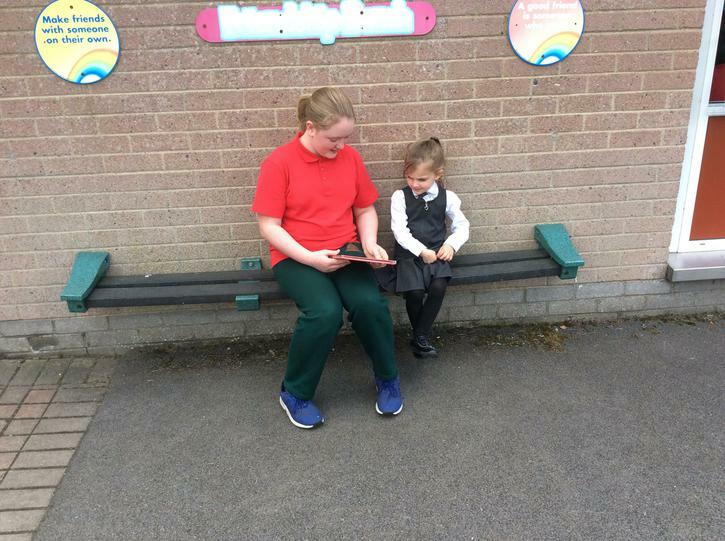 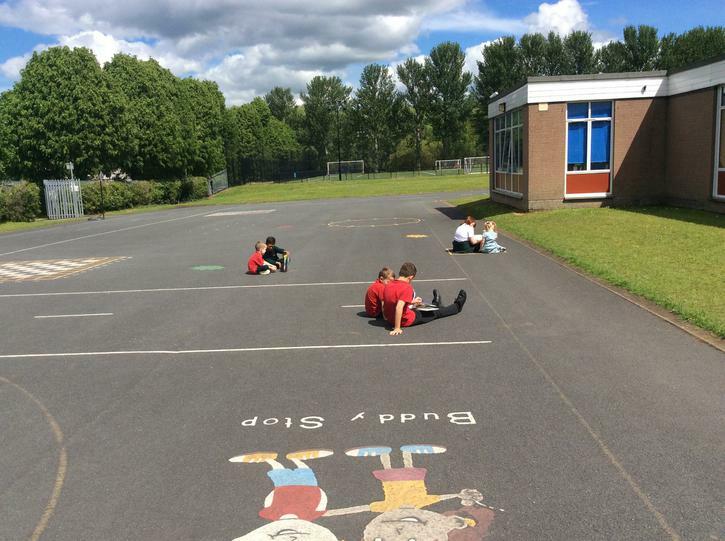 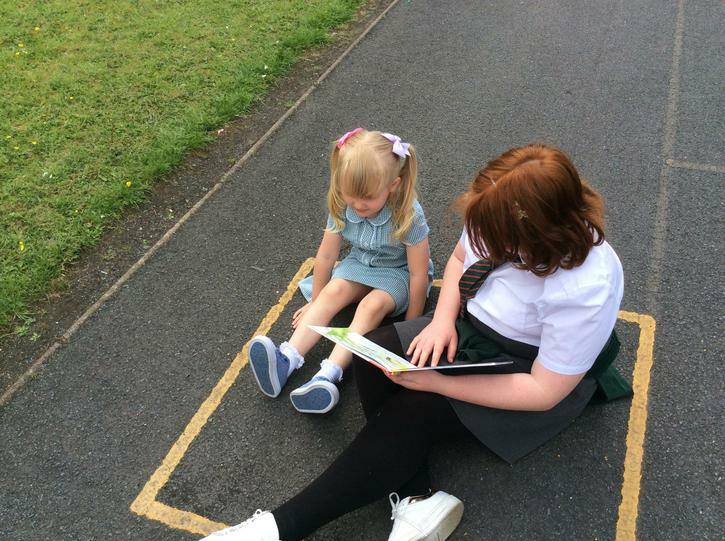 The children have been having a great time getting to know their buddy, chatting to them about the story and even having a little go at reading some part for themselves! 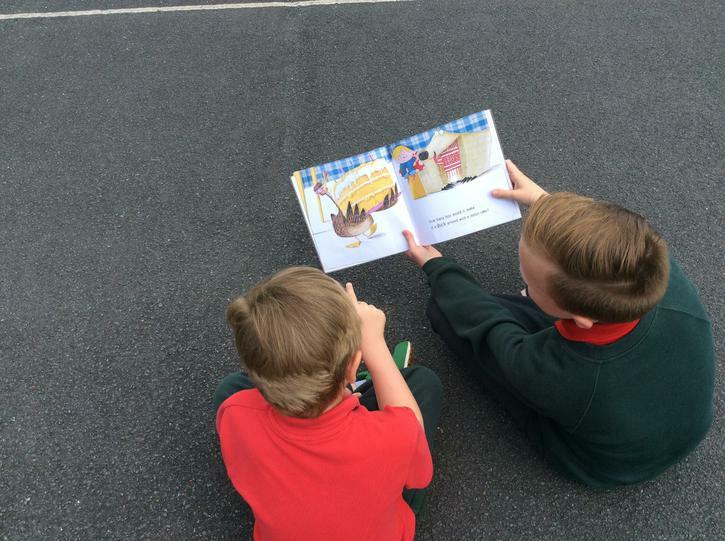 Look at the great partnerships and modelling that's going on.